Please join us in celebrating Mind and Hands: The MIT Glass Lab. “Mens et Manus” – “Mind and Hands” – is the motto of the Massachusetts Institute of Technology (MIT). It perfectly describes the spirit of the MIT Glass Lab. 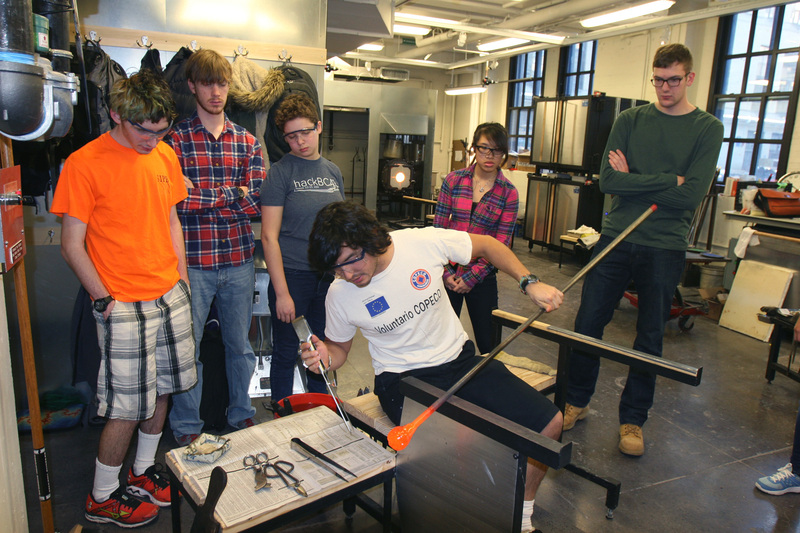 Hosted by MIT’s Department of Materials Science and Engineering, the Glass Lab has existed for more than 40 years. 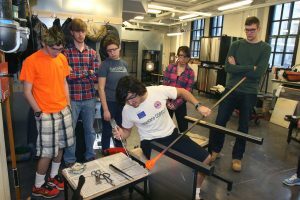 It is a place where MIT students from a wide array of backgrounds in science and engineering learn the ancient art of glass blowing, working in teams and exploring artistic approaches to glass. 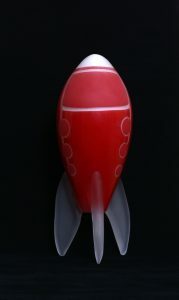 Open to all members of the MIT community, the Glass Lab is fertile ground for the propagation of hybrid ideas. 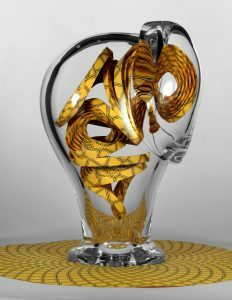 Mind and Hands is a celebration of artwork that illustrates the collision of art and science, made by Glass Lab students, instructors, and alumni. 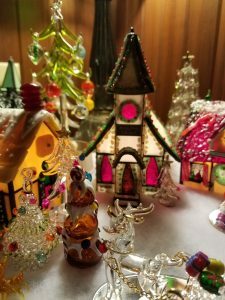 The Sandwich Glass Museum is pleased to present A Stained Glass Village: From the Collection of Annalise and Tom Nelson, featuring over 100 illuminated stained glass houses and churches augmented with hand-made glass trees and animals. “Stained glass” generally refers to the process of combining various shapes of already colored glass with (traditionally) strips of lead. 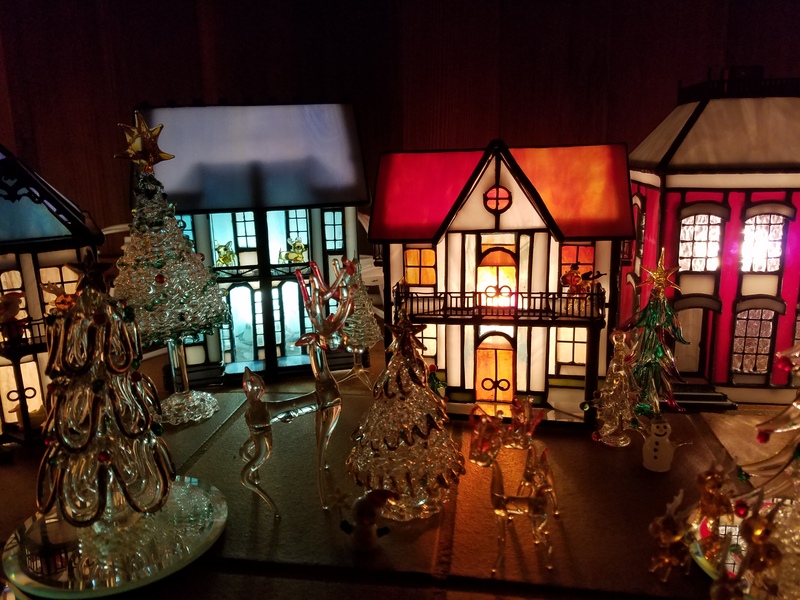 The stained-glass houses, along with the lamp-worked flora and fauna, made by both American and European artists, may have taken upwards of 20 hours to complete a single house. Little vignettes of quaint stained glass communities at twilight will enchant guests both young and old. 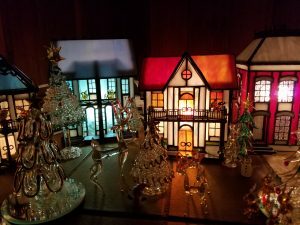 The Sandwich Glass Museum is delighted to share this magical collection throughout the holiday season.